Further details can be found in the “Wiki”: https: //megazine3.de/doc/Video (but only in English). In the JS variant, only a small selection of parameters is available. 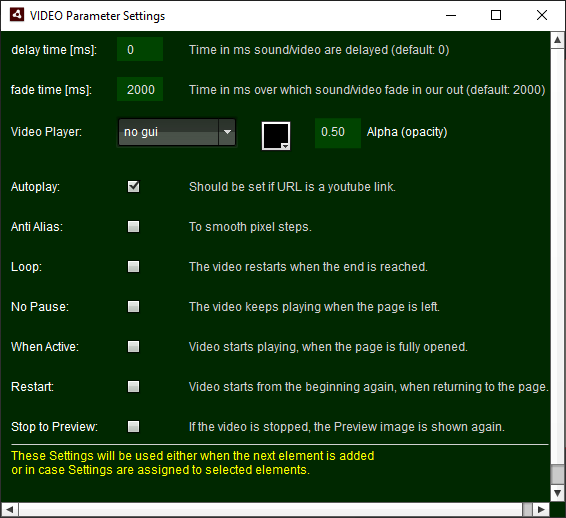 These two parameters can also be selected directly in the selection window for the video when adding video elements; often the faster and more comfortable way. In the AIR / FLASH variant additional parameters are supported.